Winter Hair Color Ideas 2013. Whether you're a gorgeous brunette or you're rocking a heavenly blonde, there are certain times when you simply need to make a change and if you got bored with your current hair color, take a look at our 2013 winter hair color ideas. One of the greatest winter hair color ideas for blondes is sandy blonde. You can enrich your highlighted hair by darkening the base. This way, you'll get a very natural and beautiful look. Hair stylists also suggest framing your face with a few highlights for a fresh look. You can go for this color if you have fair skin and blue or green eyes. Plus, it's very important to nourish you hair. We'd suggest great hair conditioning treatments that will maintain your tresses healthy and hydrated. Also, if you want to add some brightness to your colored locks, you should try some violet-infused shampoos. Our recommendations are: AFRICAN VIOLET Color Infusing Shampoo ($52.97) or Simply Argan Shampoo and Conditioner ($25). If you want to go for a darker hair color, here's our suggestion: auburn brown. You're not quite convinced yet? Just take a look at the lovely actress Rachel McAdams waving her brownish tresses on the red carpet! This shade looks amazing on pale skin. If you want to recreate a classic 40s look, then this is your color! You'll definitely look classy and stylish this winter and you'll make many heads turn to admire your beautiful new hair color. We love LuxHair WOW by Daisy Fuentes Strong & Sassy in Medium Auburn ($99) or L'Oreal Paris Excellence Crème in Natural Rich Auburn ($9.9). 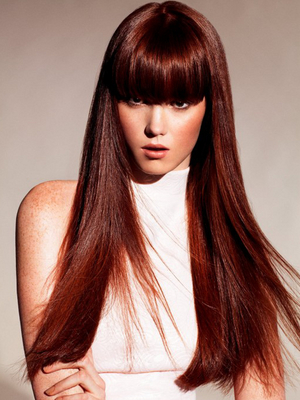 If you're a natural brunette, you can spice things up with this lovely cinnamon hair shade. You'll warm up your appearance and you'll look amazing. If your hair is medium brown and you have light colored eyes, then you should definitely give this hair color a try! Stylists also encourage you to add some dimension to your hair via some soft curls. Plus, you should never forget about hair accessories. Amazing options: Precision Foam Hair Color by John Frieda ($12) or Clairol Nice 'N Easy Permanent Hair Color ($8). If you're brave enough, ruby red is an amazing and rich color that you can try out this winter. This great hair shade is just perfect to be worn by the fireplace on a cold winter's evening, drinking some hot chocolate. How does it sound? You can choose this lovely and vibrant color if you have fair skin and light brown eyes. Also,we recommend wearing your hair long, in soft waves. This way, you'll add a glam touch to your look. You can go for Feria Power Reds Hair Color in R68 ($9.99) and AROMA INTENSE Hair Color No. 6.26 in Ruby red ($3). Stylists also recommend conditioning your ruby locks. This way, you'll nourish your hair and add extra shine. If you want to switch your current blonde hair shade to brunette, then you should choose a mahogany hair color. Your locks will reflect the shine and you'll look amazing. This great color works best with medium skin tones and brown eyes. You can watch gorgeous Latina Salma Hayek wearing proudly this lovely hair color, if you're not convinced yet. We recommend Garnier Olia Oil Powered Permanent Haircolor in Medium Mahogany ($8.97), L’Oreal Feria in Crushed Garnet (Rich Mahogany) ($9.06) or Schwarzkopf Live Salon Style Hair Colour Dye in Mahogany Brown ($5.29). 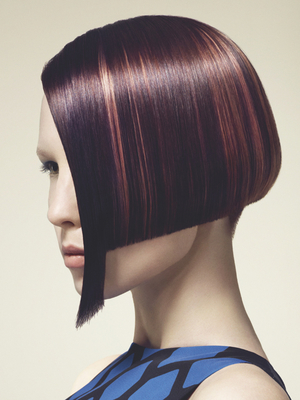 These incredible shades with their reddish and violet undertones are a great choice for winter. They'll add a mysterious touch to your look and you'll feel great. 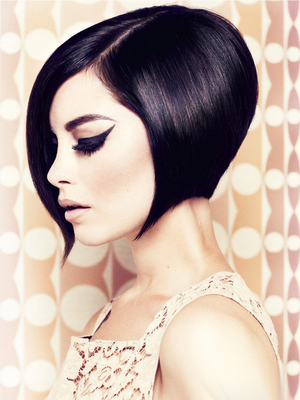 You can get inspired just by watching Kelly Osbourne or Lana Del Rey's hair shades. They stunned us with their enviable hair color options! You'll never go wrong with Revlon Colorsilk in Light Plum Brown ($5.95) or Clairol Natural Instincts in Egyptian plum ($7.93).